Share "Wedding Trends of 2016"
Tens of thousands of weddings happened in 2015 and each one of them was unique unto itself. However, through all these weddings you do find trends in venues, caterers, invitations, and even dress styles. The year 2016 is coming around fast and for those women who are looking to tie the knot this upcoming wedding season, here are some new trends that you may want to take part in and how you can get there at an affordable price. The first trend you may want to take advantage of is a destination wedding. I know what you’re thinking. This is old and cheesy, but it’s all about how you plan it. Today’s couples are going above and beyond to create what many planners are calling the ‘new destination wedding.’ It not about creating a specific place as much as using elements of places that hold special memories to you and your loved one. To give you an example, a couple met in London while studying abroad in college and wanted the bar area to feel like a pub and wanted a red telephone booth to serve as an actual photo booth. How and where do you find these items? The answer is you rent them! The idea is that you can rent just about anything to be used for your wedding that will make you and your guests feel like you’re in a different place. More importantly, your guests can capture the experience you had when you first met your significant other. Another trend that will be popular in 2016 is the lighting you use for your wedding. Everyone wants to create a more romantic, intimate, and ambient environment for their guests. Lighting will go a long way to accomplish this goal. 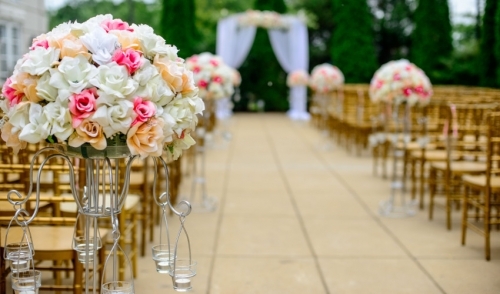 Don’t just think basic like modern fixtures or using the lights the venue provides. Go big, and even go vintage to create a scenery people will never forget. Even if you rented a tent, rent hanging lights to go inside it and have your designer decorate it with Edison bulbs or vintage chandeliers to give your wedding that soft glow that can only be captured in the night. The next trend to be on the lookout for is centerpieces. Why spend a lot of money on flowers, when you can rent centerpiece materials that will become the focal point of your wedding reception. Get creative and opt for budget friendly ideas such as elegant candle vases, light towers, or branches decorated in silver jewels. 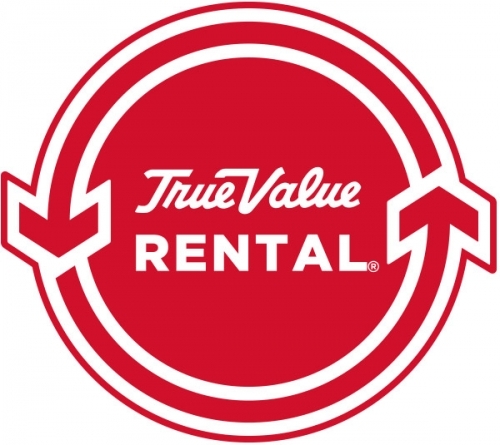 All of these options are easy on your wallet and can be rented from your local rental dealer. Other trends for this upcoming year include creative seating and gueridon service for your catering. Opt of out the traditional long table at the front of the room and go above and beyond to provide your guests with something a bit different from the classic sit down dinner. Weddings are never going to be cheap and regardless of who might be paying for it, do yourself a favor and take advantage of these trends in 2016 by renting everything you might need. You will save time, money, and the wedding of your dreams will come true.